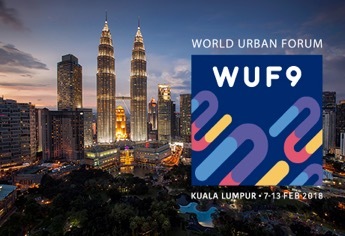 On November 1, 2017, the DIAUD Network held another successful meeting in preparation for the 9th World Urban Forum (WUF9), which will take place in Kuala Lumpur, Malaysia next February. Members provided information about their planned representation and contributions at the Forum and were also able to collaborate in planning logistics for various events and meetings that will be taking place. The discussion was led by Federico Batista Poitier, Executive Assistant to the President and Communications Coordinator for Global Alliance on Accessible Technologies and Environments (GAATES) outlining the side events under consideration by GAATES and World Enabled for WUF9. 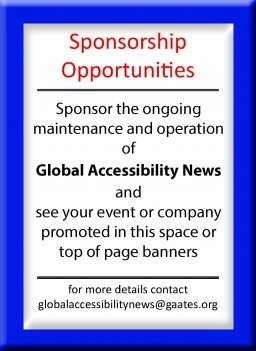 In 2007, GAATES was developed as an international consortium dedicated to promoting accessibility worldwide. Today, it is a leading international organization dedicated to the promotion of accessibility of the built and virtual environments, and to promoting the Guiding Principles of the United Nations Convention on the Rights of Persons with Disabilities (CRPD). GAATES’ global network includes expert members in disaster risk reduction and preparedness, information and communication technologies, urban development, and the built environment. The alliance allows for collaborative partnerships, between a wide range of stakeholders, to implement universal design principles in creating inclusive and sustainable environments. Appropriately, GAATES’ members have been actively planning for the upcoming World Urban Forum. Mr. Batista Poitier first introduced the event types that participants can host, and the application processes. He clarified that side events are focused on the organizer, their area of focus related to urban development, and the speakers they choose to highlight. Networking events, on the other hand, are more focused on the goal of partnerships in a specific area. Training events are focused on a specific and deployable skill, and on engaging participants which would find the skill applicable to their work. Mr. Batista Poitier informed members of the requirements necessary for each event type, and highlighted how each event should contribute to the Sustainable Development Goals (SDGs) and the Forum’s theme, Cities for All. an exhibit, featuring the braille and audio versions of the New Urban Agenda. This event would not only present the new versions, but would advocate for their necessity in all fields by engaging with persons without disabilities. an event focused on displacement in urban centers and inclusive humanitarian action.